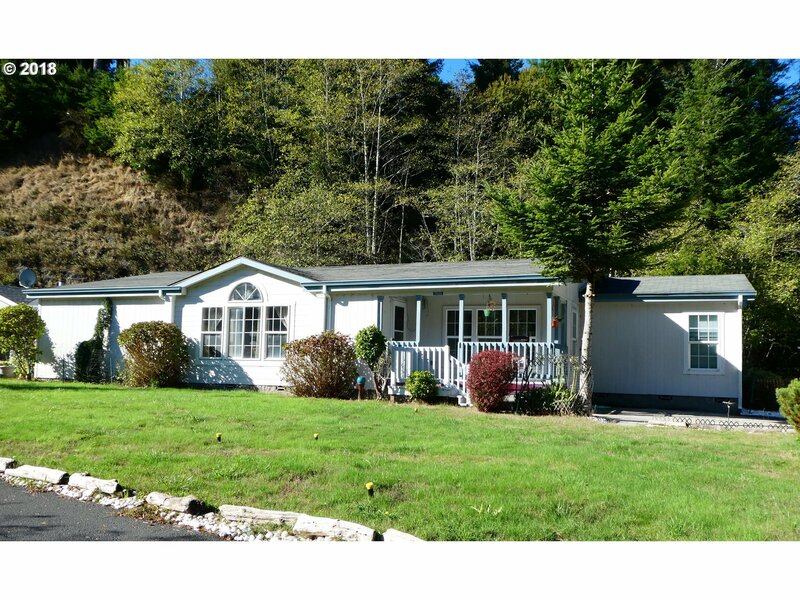 Expansive single level home in a well maintained park. With 3BR/2BA and over 2300 SF you will have plenty of room for family, hobbies or your collections! Vaulted ceilings, dormer windows, skylights and a large master suite with dual walk-in closets and a nice soaking tub. Laminate flooring in most of the rooms. Two car detached garage and a grassy front and back yard. Yard backs up to a lovely forested area for privacy.